The calls for a boycott came after a left-wing activist, who will be participating in the marathon, complained to the Meretz faction in Jerusalem. He said that it was not proper that the route run through neighborhoods beyond the Green Line. Among other things, the organizations are threating to start a consumer boycott of it does not withdraw its support of the race. 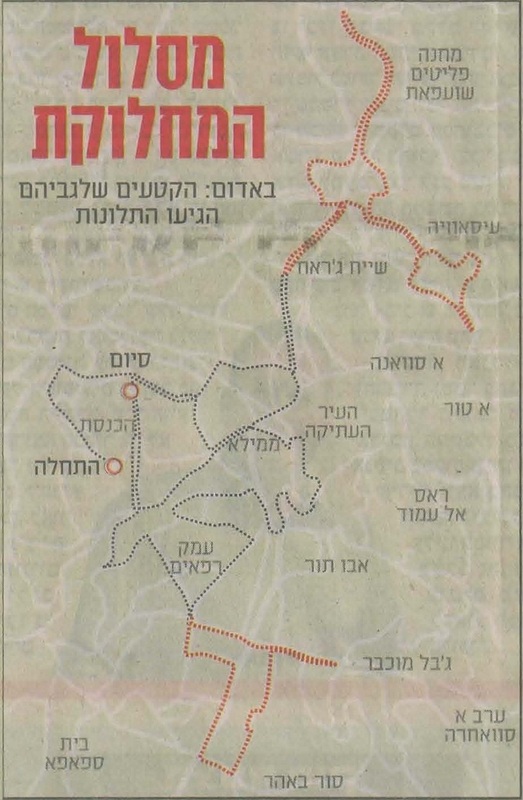 In their letter to the Mayor Nir Barkat, which was communicated with the help of the Meretz faction in the Jerusalem City Council, headed by Councillor Pepe Alalou and Dr. Meir Margalit, the [company’s] managers clarification over the planned route. A source in the Jerusalem Municipality said that following the approaches to the company, some of the Adidas management and its board, requested explicit clarifications regarding the event, which will be held for the first time in Jerusalem. You write: “… some of the most egregious examples of discrimination and dispossession in East Jerusalem: Sheikh Jarrah…”. So, I presume you do not count the original dispossession of Jews from that neighborhood, called Shimon HaTzadik because…it happened in Dec. 1947-Jan. 1948? Because… those dispossessed were Jews? Dear Medad, You also happened to forget Talbia, an Arab neighbourhood cleansed during the 1947-48 war from West Jerusalem. Or how about I go a little bit south of Jerusalem to have a look at the cleansing that took place there, according to historian Benny Morris? Stop living in the past. We live in the present and plan for the future. East Jerusalem is considered occupied territory by the whole world – East Jersualem is East Jerusalem, not Israel’s “euroshalaym”. Me living in the past? What is the presumed “right of return” which is holding up the entire peace process? I didn’t forget Talbieh. How could I forget the foolish Arab decision to violate a UN recommendation of partition, which if accepted probably would have allowed the Arabs to overrun Israel within a few years, their going to war and losing the proclaimed war of extermination and thereby losing the right to ask for their property back. Nothing peacefull can ever occur in any place where Jews rule. Envy ,jealousy , hate ,are the only products of Israel . Adidas is walking on a mine field . Destar, I have to protest your comment. Criticism of the Israeli state and its policies is legitimate; negative talk about Jews (or any other religious or ethnic group) in general is not. This is an interesting story. I hope the marathon route is rerouted, or that Adidas pulls out. Keep up the good work, BDS-ers!